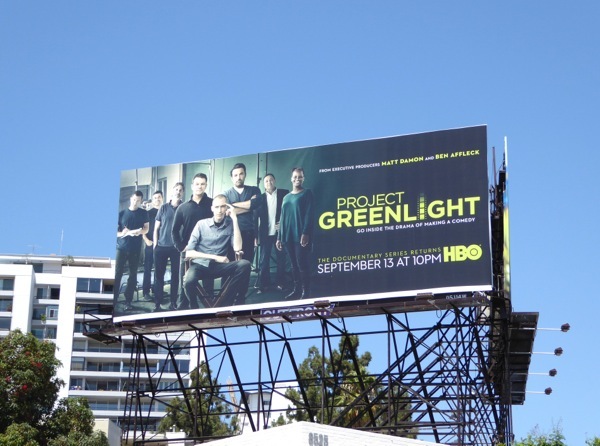 After all these years Project Greenlight has been greenlighted for a new fourth season on HBO. The documentary series, famously produced by Matt Damon and Ben Affleck, originally debuted in 2001 on HBO and followed first-time filmmakers every step of the way as they were given the chance to direct their own feature film. 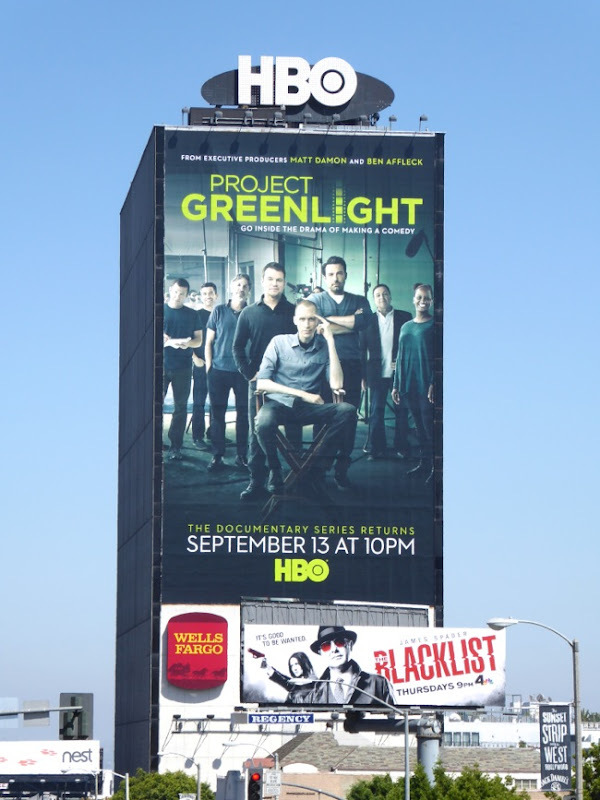 HBO aired a second season and then the third season moved to Bravo, but now more than ten years later the groundbreaking series is back where it first began with a new contest winner to be mentored through the process of making a movie, from pre-production and casting, to principal photography and post-production. 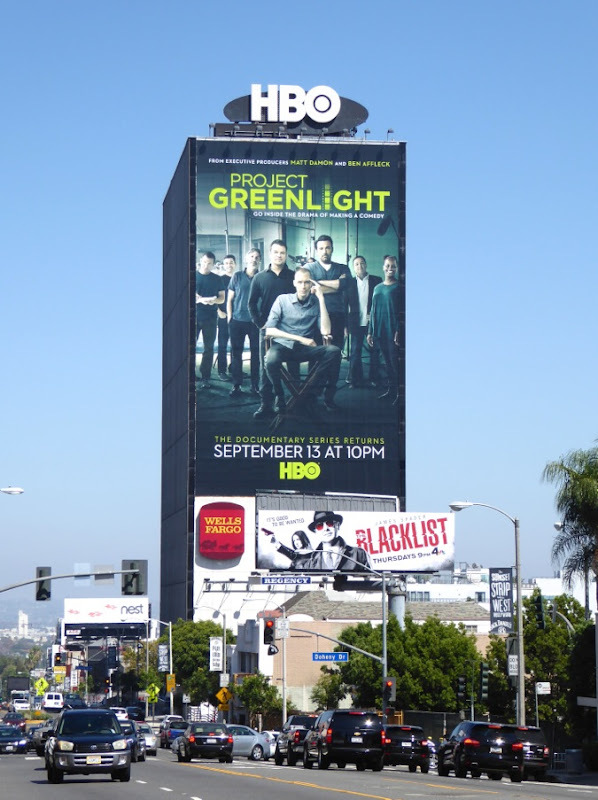 This season's winner in the hot seat (or director's chair) is Jason Mann, and when you have accomplished actors and veteran directors like Damon and Affleck to guide the way, not only is it a great opportunity, but it must also be a huge pressure too, so that should make for interesting viewing. 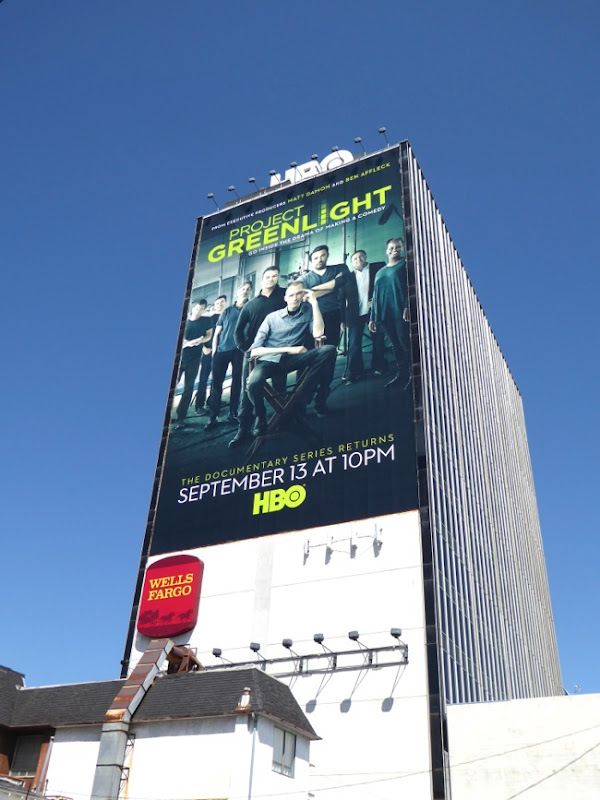 This super-sized billboard for the returning TV show was snapped towering over the eastbound Sunset Strip on August 24, along with a landscape billboard along Santa Monica Boulevard the same day, plus another landscape billboard was spotted in West L.A. on August 30, 2015. 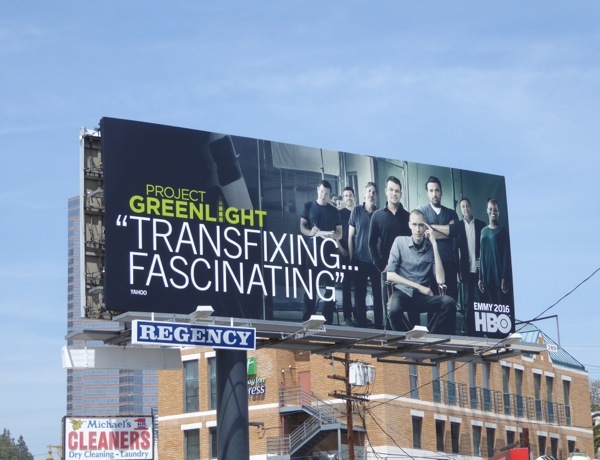 If you're a fan of Matt Damon, be sure to also check him out in these Elysium movie billboards, these film billboards for The Monuments Men and these billboards for The Informant movie. 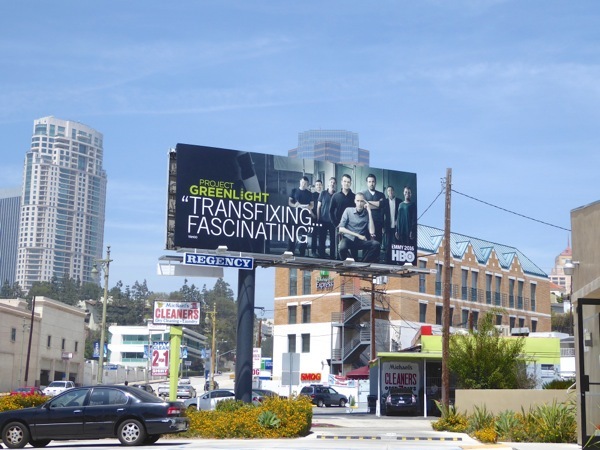 Admirers of the new Batman, can also see Ben Affleck in these Argo movie billboards and the Gone Girl movie ad campaign. 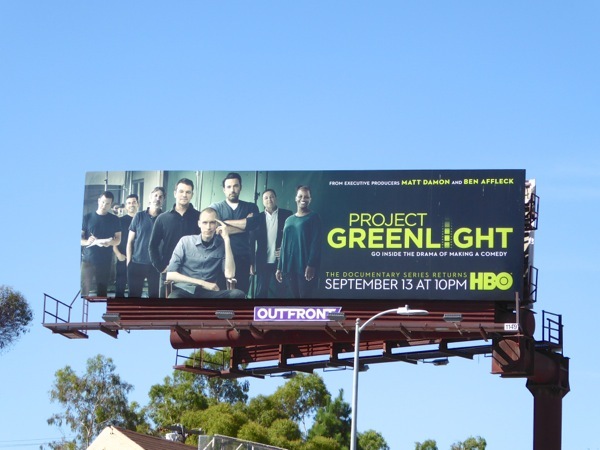 Only time will tell if Project Greenlight will launch the career of another great director and if the comedy he's working on will be a success, or an unfortunate joke. 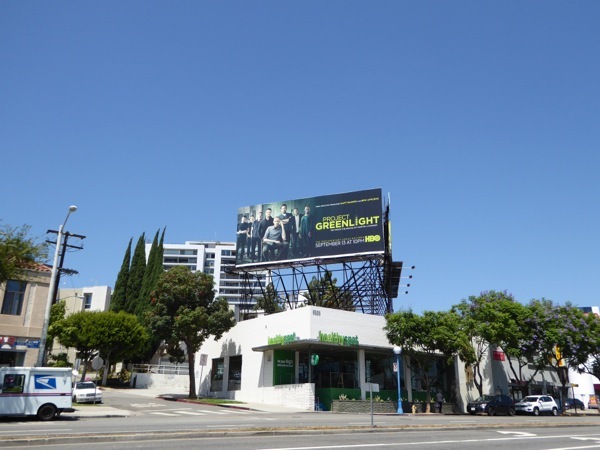 Daily Billboard will keep everything crossed as it's a commendable initiative to help give promising filmmakers a foot in the door of Hollywoodland. 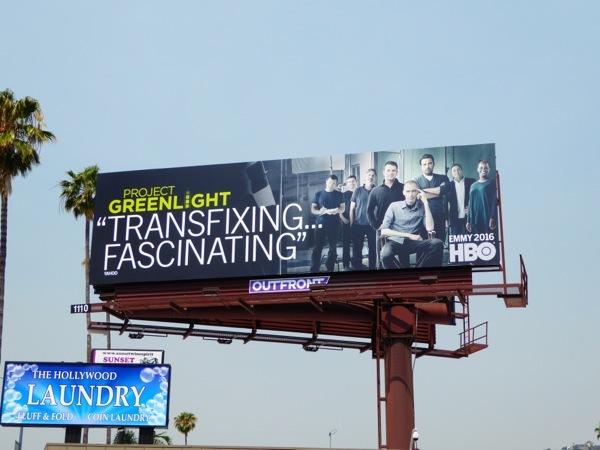 UPDATED: Here's also the Emmy awards consideration billboard for the 'transfixing and fascinating' series, spotted along Olympic Boulevard on June 3, 2016. 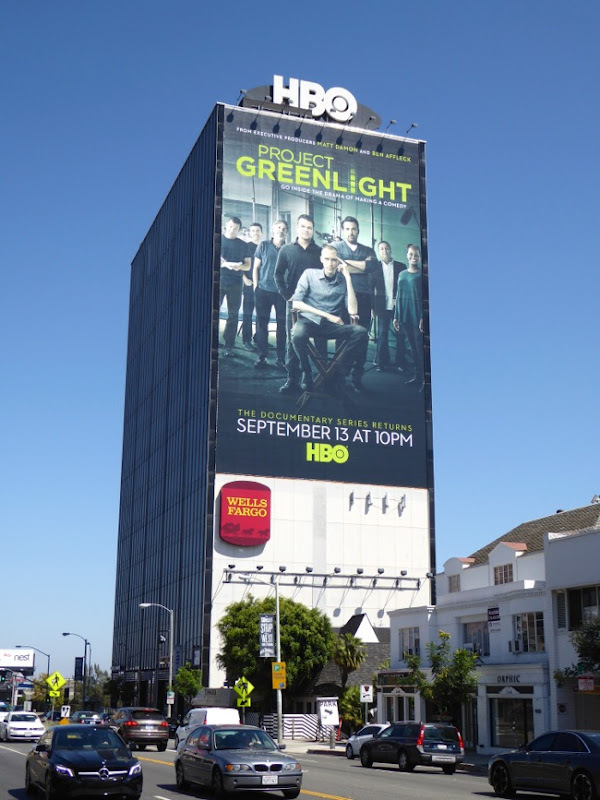 Plus here's another example spied along Sunset Boulevard on June 17, 2016, as HBO's Emmy billboards are rotated to different billboard locations around L.A.